At the February 26th meeting over 40 members and friends were treated to a superb demonstration of “Small Scale Turning” by Bonnie Klein. A description and photos are on a separate Demo page. At the end of the program Bonnie gave away the small treasures she had made to those in attendance. The winners of the drawing were Ron, Angela, Harvey, Martha, Darrel, and Stephen. More information about Bonnie’s work and the special lathe and threading tools she uses can be found on her web site atwww.BonnieKlein.com. Our member Herm Ross has volunteered as a Mentor to help our members set up for threading boxes, so contact him before you begin purchasing jigs and make sure you are getting the correct parts for your lathe. We also collected many avocado bowls that we have made for Tim Albers and Mission Produce. Tim has purchased a midsized Vicmarc variable speed lathe for the club for our use for demonstrations and events like the Ventura County Fair. Thank you to Tim and Mission Produce for sponsoring us. Remember to bring the rest of the avocado bowls that you have been working on for this year’s project. Two new members joined in February: welcome to Charles Booker and Gary Kennaley, both from Ventura. Name tags for the 7 members who have joined since late last year have been ordered and these will be ready at the next meeting. If you haven’t paid your $25 dues for 2005 yet please send them to our Treasurer Ron Lindsay immediately. The new printed membership directory will be available at the March meeting and you don’t want your name to be missing! Our next meeting is one week earlier than usual so remember to attend on the 3rd Saturday not the 4th, i.e. March 19th. President Al Geller will present his work with different finishing techniques and also discuss the use of metallic foil as a decorative surface enhancement. He will also discuss concepts of design elements that he thinks about when he begins to work on a new piece. Some examples of Al’s work are in the Geller Gallery section. 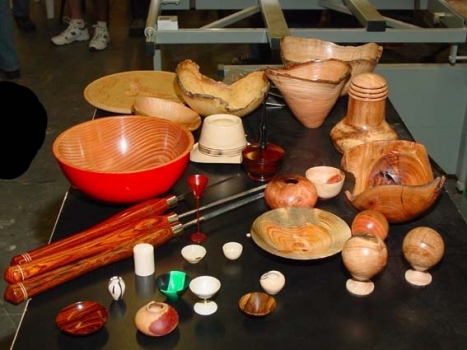 The Challenge for the March meeting is to make a miniature (3″ or smaller) turning. Now that you have seen how Bonnie does it we should have lots of examples for the Show-N-Tell session. 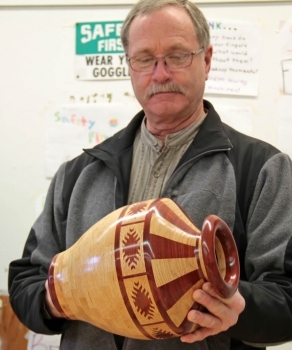 Up Coming Events: On April 2nd the Glendale Woodturners Guild is featuring Mike Mahoney for an all day demonstration. The information flyer has been sent to our membership list and more information can be found at the GWG site or from Pete Carta at VP@woodturners.org. At the March meeting we may try to put together a car pool of our members to attend this special event. 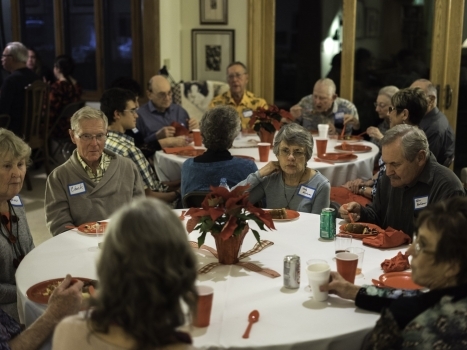 Our meeting on Apri16th will feature member Art Waldinger discussing photographing your work. Art is a profession photographer and will be taking photos of your work to use in our gallery section. On Sunday, May 15th, Andi Wolfe will be presenting an all day demo for us. Sign up now (call Al Geller or sign up at the March meeting) if you plan on attending as we will be limiting the number of attendees to no more than 45 people.